This article was written By Grant Watson on 06 Apr 2019, and is filed under Reviews. Li Taihang (Wang Bo) is a disaffected teenager living in an anonymous city in Hebei Province. He lives with his police detective father (Li Weidong) but rarely speaks to him, instead stealing cash from him when he sleeps. Taihang spends time hanging out with his friend Donghai (Gao Xingyue) or riding a broken-down motorcycle bought from a loan shark named Bao (Wang Shuo). Taihang’s misadventures play out in an episodic fashion in He Zheng’s slow-paced, low-stakes drama The Son of Mountain. It takes a long time for the story to cohese into something of interest and even then it does not put a lot of effort into increasing dramatic tension. A lot of these low-key productions have come out of China in recent years, combining hand-held photography, realistic characters and small-scale, mundane events. As the number of such films grows, the need to stand out from the crowd rises. The Son of Mountain has a particularly strong need to stand out. Sadly it simply fails in the attempt; this film acts as a practical definition of ‘unnecessary’. He, who also wrote the screenplay, splits focus between father and son. 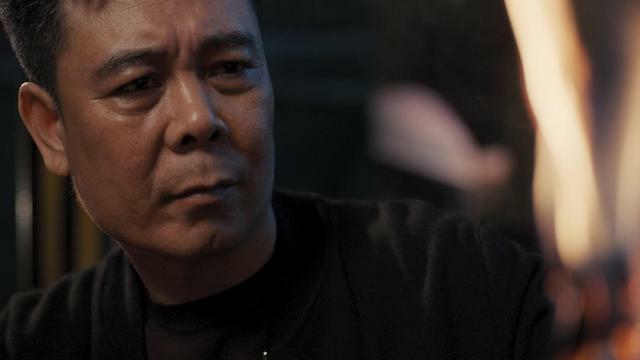 For Taihang, the film follows his awkward attempt to score a girlfriend as well as the repercussions of failing to repay his debt for the motorcycle. For Li Senior, it presents a story of a physically wounded policeman descending into alcoholism while seeking revenge on the criminal who physically injured him. Taihang’s story simply lacks enough interesting material or the tight narrative structure to sustain an audience’s attention. He is not particularly sympathetic and his earnest pursuit of a young woman (Chen Xinjie) comes paired with a seedy fetish for women smoking cigarettes. By the time the loan shark catches up with him, the film is as good as done. Little is satisfactorily resolved. Li Senior’s storyline stands in garish contrast to Taihang’s. Here, Li offers the stereotype of the burned-out officer suffering the post-traumatic effects of having been overcome by a runaway criminal and taken a shotgun blast to the groin. It feels crudely developed and unrealistic, and never connects in an interesting fashion to the bulk of the film. Ultimately, it all feels like padding; a worry for a film that is only 91 minutes long. While the screenplay hurts the film, production and casting choices do add some value. The naturalistic acting is effective. Wang Bo gives a relaxed and deadpan performance as Taihang while Chen Xinjie has an arresting screen presence as Meng Lin, who reacts to Taihang’s overtures with a combination of suspicion and ambivalence. Cinematographer Hao Chenyu brings a suitably grimy aesthetic to the film’s miserable surroundings and does some especially strong work during the oddly truncated climax. There is a world of potential to The Son of Mountain. Strong performances and well-thought-out production elements deserve a better screenplay. The result feels woefully under-developed and dramatically weak. With luck, He Zheng will receive another chance in the future and apply his evident directorial talents to a more distinctive story. This half-formed exercise simply fails to justify its own existence.